While students enjoy their summer vacations, many school teachers and staff spend their summers developing their teaching skills through professional development opportunities, helping out in their communities, offering students opportunities to make up class credits and preparing for an upcoming exciting school year. 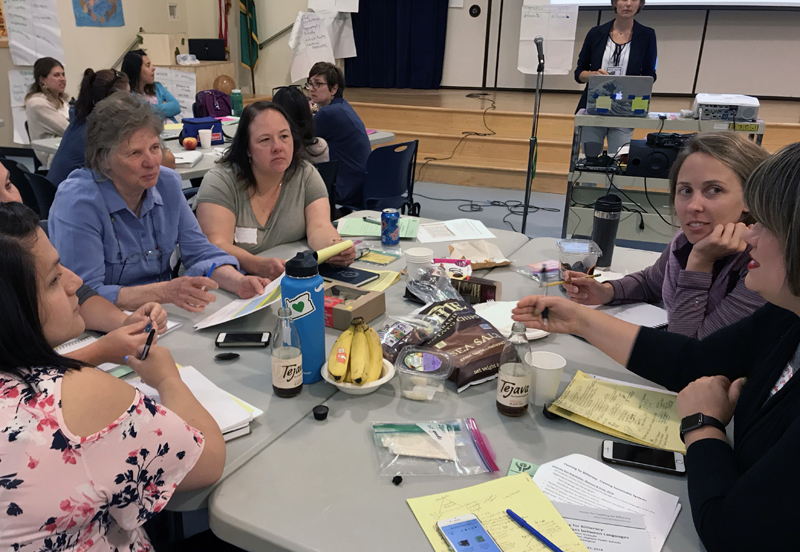 Team members from Woodland Primary School attended a special biliteracy institute to prepare for the launch of the school’s Dual Language program this fall. Shari Conditt, a teacher at Woodland High School, worked with the Supreme Court in Washington D.C. after being accepted to a special institute for high school civics teachers. Josh Furlong, a paraeducator at Woodland Intermediate School, volunteered as an intern to offer mental health services to people in need in Longview. Keith Clevenger, a math and science teacher at Woodland High School, spent his fourth consecutive summer teaching summer school in order to give students the opportunity to make up failing grades from the past year. Ingrid Colvard, Woodland Primary School’s principal; Pat Jones, the school’s instructional coach; kindergarten teachers Jill Thoeny and Anahisse Hodge; and first grade teachers Maria Rodriguez and Lyndal Mezes attended the Teaching for Biliteracy Institute for three days to prepare for the school’s dual language program introduction this fall. Shari Conditt, WHS Social Studies teacher, attended the Supreme Court Institute in Washington D.C.
Shari Conditt (WHS) worked with Supreme Court Justices during the Supreme Court Institute in Washington D.C.
Shari Conditt, a Social Studies and Government teacher for Woodland High School, worked with the United States Supreme Court in Washington, D.C. after being accepted into the Supreme Court Institute, an organization that seeks to enrich civics teachers’ knowledge of government operations with intensive first-hand experience at the Supreme Court over a six-day seminar. The incredibly competitive program only accepts 60 teachers each year. Students who need to replace failing grades can perform credit recovery during the summer where attending class for three weeks from 9 a.m. to 2 p.m. each day is equivalent to an entire credit. 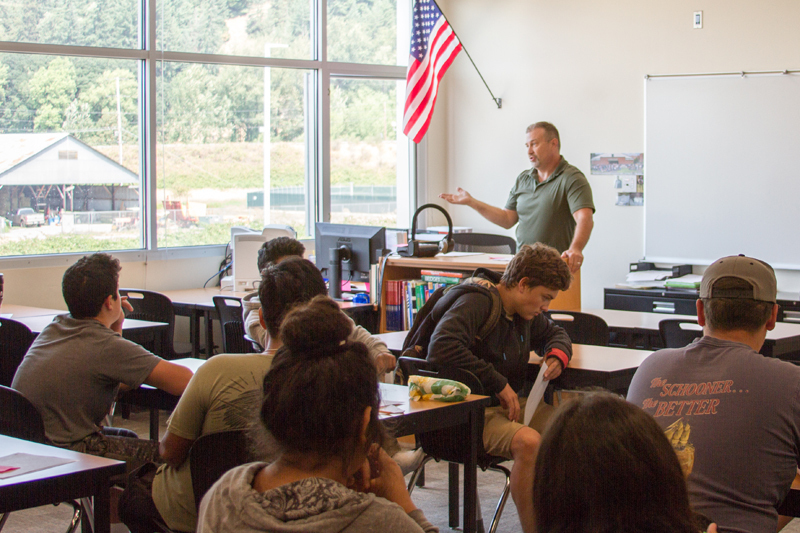 Keith Clevenger, a math and science teacher at Woodland High School, spends his summers helping students recover credits and learn skills and has taught each summer for the last four years as well as seven or eight summers of the past ten years. The summer school program uses the APEX teaching curriculum, the same software used by students attending TEAM High School. “I modify the math curriculum to align with the high school’s own curriculum, selecting the specific sections we need to focus on and ensuring students work on the correct material in the correct order.” In just one of the two sessions offered this summer, 62 students recovered class credits. Out of the two three-week sessions, students recovered more than 100 credits.